Terming the series of deaths over the Vyapam scam in Madhya Pradesh as "cold-blooded murder", West Bengal Chief Minister Mamata Banerjee on Monday demanded a Supreme Court-monitored probe into the scandal. "This is not any general law and order situation. 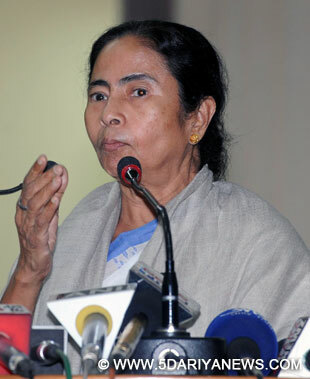 This is cold-blooded murder," Banerjee said.The Trinamool Congress supremo said her party will protest against the scam in parliament. "Trinamool will raise its voice against this in parliament. This should be investigated under monitoring by the Supreme Court," she said. The Congress on Monday reiterated its demand for a Supreme Court-monitored probe by the Central Bureau of Investigation into the scam and called for Madhya Pradesh Chief Minister Shivraj Singh Chouhan's immediate resignation for "misleading" the probe.The Congress's Madhya Pradesh unit has accused Chouhan of being responsible for the chaos created by the Vyapam-organised examinations and the deaths, under suspicious circumstances, related to the scam.The scam is related to irregularities in admission and recruitment conducted by the Madhya Pradesh Vyavsayik Pareeksha Mandal (Vyapam). More than 40 people associated with the scam have lost their lives, including a Delhi-based TV journalist who was covering it.